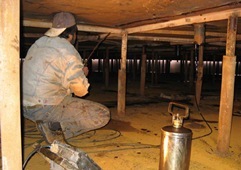 The Above Ground Storage Tank Inspection provides you with information about the inspection of storage tanks and storage tank testing in a construction shop and site, as well as storage tank in-service inspection in operating units. 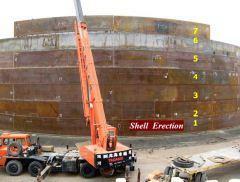 You may review storage tank inspection procedure and storage tank ITP articles. What is the Application of a Storage Tank? There are two kinds of storage tanks, the Atmospheric Storage Tank and the Low Pressure Storage tank. The maximum pressure for vapor or gas space of an atmospheric storage tank is 2.5 psi, and for a low pressure storage tank is 15 psi. If the pressure is more than 15 psi, the liquid cannot be stored in in the storage tank and it is necessary to be stored in a pressure vessel. Atmospheric storage tanks are used for storing crude oil, heavy oil, gas oils, furnace oils, naphtha, gasoline, non-volatile chemicals, etc. Low pressure storage tank are used for storing light crude oil, some gasoline blending stock, light naphtha, pentane, some volatile chemicals, liquid oxygen, liquid nitrogen, etc. 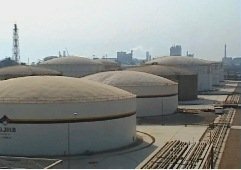 The physical shape of both kinds of above stated storage tanks might be similar, but the construction code and design and inspection requirements are different. What are the Above Ground Storage Tank Inspection Requirements in the Manufacturer Shop and at the field? The construction code for the atmospheric storage tank is API STD 650, and for a low pressure storage tank is API STD 620. These cover the minimum requirements for design, materials, fabrication, inspection and testing. With the above explanation, your inspection and test plan (ITP) for storage tank construction needs to meet the requirements of either API STD 650 or API 620. The storage tank inspection and test plan summarize all inspection requirements in several pages and in tabular format. The storage tank inspection and test plan is prepared in two sections, one for the supply, cutting, rolling and beveling of storage tank plates in the manufacturer's shop, and the other section for construction activities in the field. The prepared plates in the shop are transferred to the field for assembly. 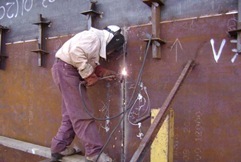 Depending on the client's contract, sometimes there is only one contractor for shop and field activities, and sometimes there are two contractors one for the shop and one for field assembly. This table determines each party's responsibility (i.e. construction contractor, third party inspector and client). 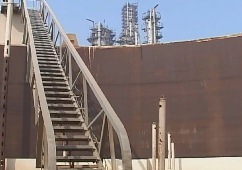 What are the Above Ground Storage Tank Inspection Requirements in Operating Plants? The In-Service Inspection code for your atmospheric storage tank is API STD 653. 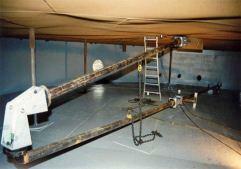 The content in this standard covers tank inspection, repair, alteration and reconstruction. As you see above, the API STD 653 addresses only the atmospheric storage tank, but API RP 575 covers both atmospheric and low pressure storage tanks. The API STD 653 is designated for atmospheric above ground storage tank inspection, for tank built based on API 650, but you may use this code for any steel tank with specific consideration and operating details. 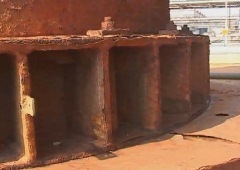 Some other recommendation practices that you need to take into account in your above ground storage tank inspection are API RP 651 for tank bottom plates cathodic protection system, API RP 652 for tank internal lining system, API RP 571 for damage mechanism, and API 577 for welding inspection and metallurgy. Many of the design, welding, examination, and material requirements of API 650 can be applied in the maintenance inspection, rating, repair, and alteration of in-service tanks. But if you found a conflict between the construction code API 650 and API 653, the requirement of API 653 must govern this standard, as it -specifically addresses above ground storage tank inspections for operating plants. API 653 above ground storage tank inspectors are qualified for the inspection of storage tanks, as they are certified by API for such activities. 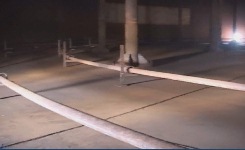 What are Important Points in the Above Ground Storage Tank Inspection in shutdown? For detailed information you need to refer to API STD 653 and API RP 575. 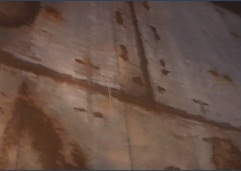 Roof sealing system inspection i.e. rubber seal, seal plate, etc.